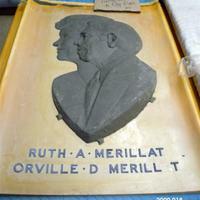 Mold for Ruth and Orville Merillat. 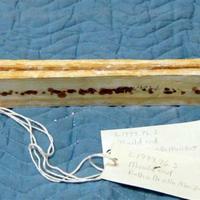 Mold has stains from the shallac used to seal the plaster. 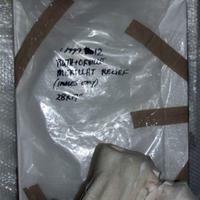 Text on the relief is "Ruth A Merillat John D Merillat". Merillat portrait plaster relief portrait. 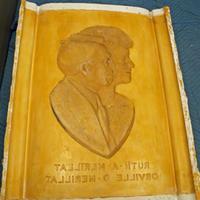 Written on the relief is "Ruth A Merillat John D Merillat". 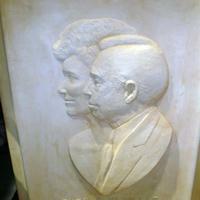 Plaster portrait relief used for the Ruth and Orville Merillat portrait relief.